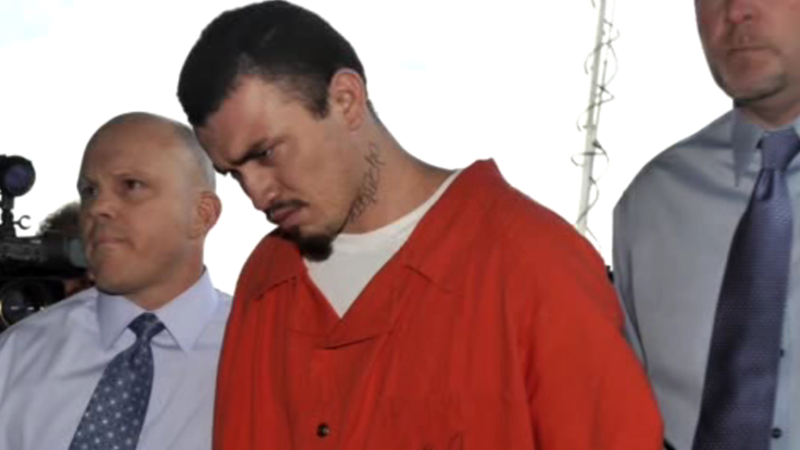 WASHINGTON -- A Salvadoran national whose conviction in the slaying of missing intern Chandra Levy was overturned has been deported. Immigration and Customs Enforcement officials said Monday that Ingmar Guandique, 35, was flown Friday to San Salvador and transferred to authorities there. A jury convicted Guandique of murder in 2010 for the death of Levy, whose 2001 disappearance became a national obsession after she was romantically linked to former congressman Gary Condit. Police in Washington at one point considered Condit a suspect, but later said they had cleared him. Guandique's conviction was overturned after a jailhouse informant's testimony came under scrutiny. Officials said Guandique has been in ICE custody since June. The news release issued Monday described Guandique as "a documented MS-13 gang member" - an ICE video of his deportation shows the letters MS tattooed on the back of Guandique's hand. President Donald Trump has frequently offered the MS-13 street gang as a rationale for his efforts to crack down on illegal immigration. When Guandique was charged in 2009 with Levy's murder, he was already in prison for attacks on other women in Rock Creek Park in the nation's capital, where Levy's remains were eventually found. At his 2010 trial, another inmate, Armando Morales, testified that Guandique confessed to him that he had killed Levy. But evidence emerged casting doubt on the truthfulness of Morales' testimony. A judge in 2015 granted Guandique a new trial. In 2016, prosecutors announced that they would no longer seek to retry Guandique, clearing the way for his deportation to his Central American homeland.